Packed food and cosmetics market has boomed in the last couple of decades and is expected to increase exponentially in the next 20 years. The U.S. contributing hugely to this market, but emerging countries like India and China will the driving force for this market in the coming future. When talking about packed products, bottled food and cosmetics contribute a big number to the total. Cold drink industry, which has 77% of its products in form of bottles, has seen an increase of almost 4% in last year. Bottle cosmetics serve in form of personal care products, perfumes and hair products has seen similar growth in the last decade. Both bottle food and cosmetic market are forecasted to grow at a rate of 5% p.a. for the next 5 years span. Market projected to improve this high in the coming years attracts more competition which ultimately means for products. While the brand trust factor is important, it is noticed that buying decision is greatly affected by labeling. This drives the market to come up with more innovative and attractive labeling methods. 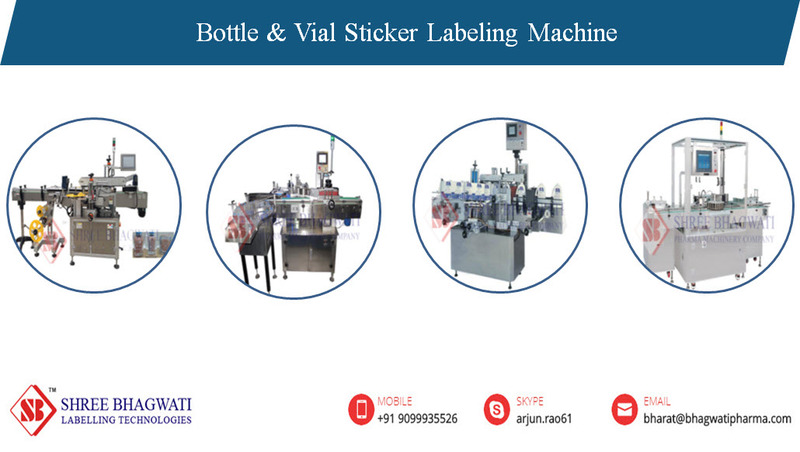 Why automatic labeling is preferred over manual labeling? Automatic labeling provides fast and robust processing while manual labeling is time-consuming and not very efficient. A possibility of error is high in manual labeling. Automatic labeling is cost-efficient and flexible to modifications. To easily understand, let’s divide the world market into sub-division of continents. Developed economies like Europe and the U.S. has been leading as packed food consumers. High competition and market growth saturation have made the attention to shift towards developing countries. Lifestyle in these developing countries is changing rapidly. Packaged and bottle products now are taking over the tradition supplies. This growth attracts is a great opportunity for the labeling companies to invest into. Let’s consider emerging regions around the world. Asia Market: Apart from India and China, countries like Indonesia and Thailand are also steadily adopting western culture. These countries, including Bangladesh, already have a well-set market for bottle products but they still have considerably less automation. Recently, local food firms have revealed their plans for introducing automation to their production process. This will spark the fire of investment in automation industry which is a possible market for labeling companies to exploit. Even country like Russia has shown positive growth in terms of usage of packed food and cosmetics. The Russian market is well acquired by already established brands like PepsiCo, making it hard for new industries to grow. But recently, a few local businesses have emerged and are competing against the giants in Russia. This shows potential for packed products industry and even labeling industry to be set up in Russia. Africa Market: Most countries in Africa in developing phase which makes it a cradle for investment by international giants. Most countries in Africa still lack basic automation and much of the product is manually packed and labeled. This not only slows down the production but also increases the overall cost of the product, making packed products less favorable for the population which comprises mostly of low-class people and middle-class people. But recent investment in African countries by China and Germany has increased the working class people.Change in the lifestyle of locals has increased demands for easily and readily available products. Lack of technology and investment has made sure that market is fairly unexplored. Any big investment in terms of production will force the labeling company to invest too. So, this part of the world shows a huge potential and still needs to be exploited. North America and South America: Canned food and bottle products are an integral part of daily life for most U.S. citizens. Labeling industries have been thriving in terms of international and national market in the U.S. Following its neighbor country, Brazil and Canada have shown an increase of more 200% in last decade in term or packing and labeling. A sure and steady year-by-year increase in the market in terms of labeling has been attracting more and more investment in these countries. Though this market has already been acquired by major giants, the ever-growing demand shows that the already established market is not enough to fulfill the demands.